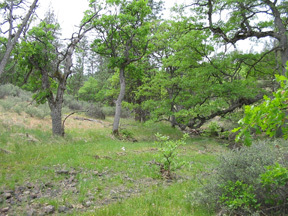 The plan is the product of more than a year’s work by partners of the Cascadia Prairie-Oak Partnership, American Bird Conservancy, Center for Natural Lands Management, Klamath Bird Observatory, Willamette Partnership, and Pacific Birds Habitat Joint Venture. 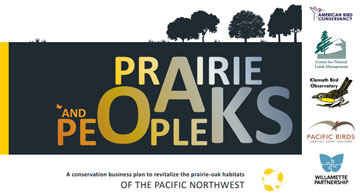 A companion document, Prairie, Oaks and People – Profile Projects, showcases 21 projects that support the goal and objectives outlined in the business plan. Profile Projects is intended to be a dynamic compilation of projects that partners can contribute to over time. 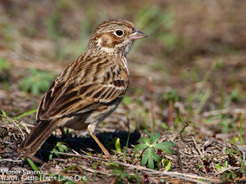 Building on recovery plans developed for species already on the endangered species list, and on habitat objectives designed to sustain regional bird populations, the plan calls for investment of more than $83 million over the next 10 to 15 years. The intent is to shore up vulnerable species and maintain habitats for a wide variety of wildlife in the context of both human needs and a changing climate. Some of the species of conservation concern that will benefit are: Taylor’s checkerspot butterfly, Oregon vesper sparrow, Lewis’s woodpecker, Kincaid’s lupine, and western pond turtle. The new plan builds upon prairie-oak conservation already underway across the region. CLICK HERE to download the plan. To Download the Profile Projects Companion Document CLICK HERE. 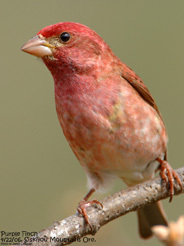 To learn more about the plan and the related partnerships visit the PACIFIC BIRDS – PARTNER NEWS AND RESOURCES. In Part Two of a three-part series on the wildlife refuges of the Klamath Basin and water in the arid West, reporter Jes Burns puts KBO research and monitoring results in the broader context of bird population declines in the Upper Klamath Basin. Click here to read and listen to the Oregon Public Broadcast series. Results from long-term monitoring efforts show that Black Tern population declines in the Klamath Basin are higher than declines previously documented for continental and regional populations. 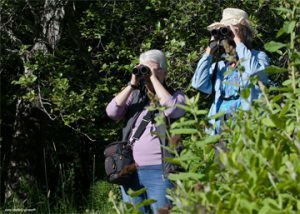 Results from a 10 year study conducted by Klamath Bird Observatory show a steady, sharp decline in numbers of Black Terns in the wetlands and open waters of Agency Lake and Upper Klamath Lake. According to a Black Tern conservation plan created in 2006, the desired population objective within the Great Basin — which includes the Klamath Basin — is 10,000 individuals. The current estimate of Black Terns for this area is already some 20% below the objective, making these local declines a red flag. The 2006 Intermountain West Waterbird Conservation Plan was created by many researchers from multiple organizations and agencies to identify and fill knowledge gaps and aid in all-bird conservation efforts. Conservation plans are developed by looking at historic and current population numbers to create reasonable objectives for maintaining populations with the goal of avoiding costly special-protection actions such as threatened or endangered species listing. Terns are migratory waterbirds related to gulls. Many tern species travel to inland waterbodies to nest and return to coastal areas for most of the year. The Black Tern is one of the smallest terns in the world with a graceful, floating flying appearance. 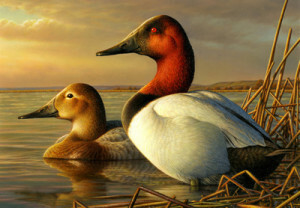 It is a long-distance migrant, nesting in wetlands across the northern United States and southern Canada and wintering along South America’s northern coasts. Black Tern long-term population declines have been attributed degradation and loss of wetland habitat across North America. Now studies must focus on existing habitat suitability, including water levels and water quality. Klamath Basin National Wildlife Refuge Complex manager Greg Austin said, “We find these results reflective of the declines observed in wetland habitat throughout the Klamath Basin. 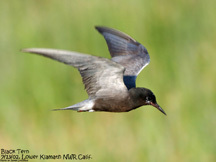 Historically the refuges provided the necessary habitats to support Black Tern populations, however with the loss of wetland habitat throughout the Klamath Basin Black Tern populations have declined. The Klamath Basin is an over-allocated system; drought and increased demands on water resources have put the Klamath Basin out of balance; there is not enough water to completely satisfy every need every year. A balanced approach for water allocation in the Basin is needed for effective management by all stakeholders”. The results of the 2001-2010 Klamath Basin Black Tern study were published in the Winter 2015 issue of the Northwest Naturalist journal. To read or download the publication click here.